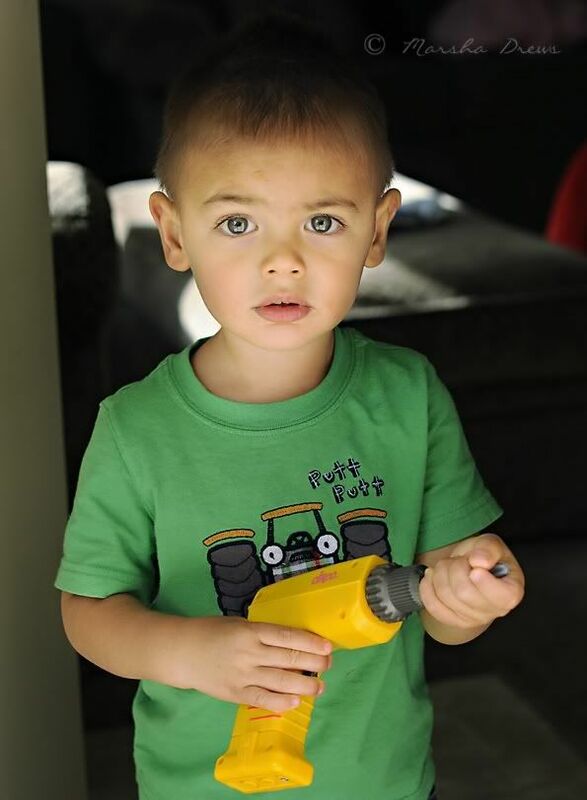 Guns, tools, dirt, and noise... That's what little boys are really made of! I'm excited to link up with Hallie's 50mm Friday. Want to join us? Very cute! Gorgeous eyes. I'll try to jump in next week or something. I meant to do it today but didn't have the time. Oh my goodness...the eyes on this child are beautiful! Love this shot Marsha! And the light source is perfect. I'm so glad you're joining me! Such a beautiful picture Marsha. Love it!